Navigation, Moonroof, Heated/Cooled Leather Seats, Aluminum Wheels, All Wheel Drive, Rear Air, Back-Up Camera, Heated Rear Seat. Modern Steel Metallic exterior and Graystone interior, Sport Hybrid w/Advance Pkg trim. FUEL EFFICIENT 29 MPG Hwy/28 MPG City! Warranty 6 yrs/70k Miles - Drivetrain Warranty; CLICK ME! KEY FEATURES INCLUDE Leather Seats, Navigation, Sunroof, All Wheel Drive, Rear Air, Heated Driver Seat, Heated Rear Seat, Cooled Driver Seat, Back-Up Camera, Hybrid, Premium Sound System, Satellite Radio, iPod/MP3 Input, Bluetooth, Aluminum Wheels. Acura Sport Hybrid w/Advance Pkg with Modern Steel Metallic exterior and Graystone interior features a V6 Cylinder Engine with 377 HP at 6500 RPM*. MP3 Player, Remote Trunk Release, Keyless Entry, Child Safety Locks, Steering Wheel Controls. OUR OFFERINGS Welcome to Lyle Pearson! Located in Boise, Idaho, Lyle Pearson is proud to be one of the premier auto groups in the Treasure Valley. From the moment you walk into one of our showrooms, you'll know our commitment to Customer Service is second to none. 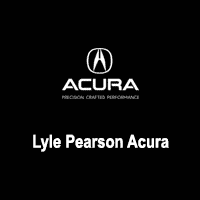 We strive to make your experience with Lyle Pearson a good one - for the life of your vehicle. Horsepower calculations based on trim engine configuration. Fuel economy calculations based on original manufacturer data for trim engine configuration. Please confirm the accuracy of the included equipment by calling us prior to purchase.